After being kicked off the August primary ballot and barred from running as a Democrat, John Conyers III filed a petition to run in the November election as an Independent to no avail. In another twist in the dramatic race to replace embattled, legendary U.S. Rep. John Conyers, Jr., his son has been banned from running in the election. John Conyers III of Detroit can’t appear on the November general election ballot for the 13th Congressional District because he was deemed ineligible for Tuesday’s Democratic primary. In July, he filed a petition to run as an Independent. But Michigan election law mandates that a petitioner is unable to run as an Independent for an election held during the same calendar year as attempting to run in the partisan primary race, according to a written statement from the Wayne County Clerk’s office. Conyers III still could run as a write-in during the November election. It’s unclear if he plans to do so. He did not respond to Bridge’s requests for comment. John Conyers, Jr., 89, was the longest serving African-American Congress member in U.S. history. He is a civil rights icon for fighting beside greats such as Martin Luther King, Jr. and his long legislative record. Conyers’ seat opened up last year after he resigned from Congress after 53 years amid accusations of sexual harassment from former employees. His son has had his own problems. 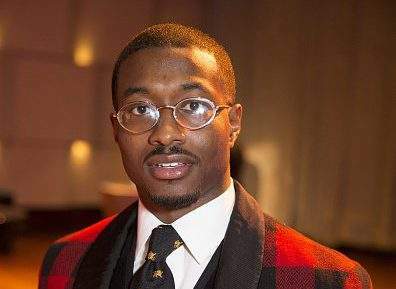 Last year, John Conyers III was arrested on suspicion of domestic violence against his girlfriend. In 2010, he reported two laptops and $27,000 in concert tickets stolen from his father’s government-owned Cadillac Escalade. Conyers III had reportedly been seen in a photo circulated online behind the wheel of the luxury SUV while gripping a bottle of champagne. Conyers III, who has no political experience, was removed from the race for the first time in June. He had filed petitions last spring to run for his father’s seat, with his father’s endorsement. However, State Sen. Ian Conyers of Detroit, the great-nephew of the former congressman, is also running for the seat and challenged his cousin’s petitions. The Wayne County Clerk found that Conyers III did not have enough valid signatures to neither run in the election to fill the two-year term that starts in January nor to run in the special election to serve the last two months of his father’s current term. The Michigan Court of Appeals upheld the clerk’s decision. Others in Democratic primary are Detroit Council President Brenda Jones, former Rep. Rashida Tlaib of Detroit, Westland Mayor Bill Wild, ex-state Rep. Shanelle Jackson of Detroit and state Sen. Coleman A. Young II. Winners of the Democratic primary are all but guaranteed victory in the general election of the heavily Democratic district that represents parts of Detroit and Ecorse, Garden City, Highland Park, Inkster, Melvindale, Redford Township, River Rouge, Romulus, Wayne and Westland. Good. The entire family consists of crooks.